Yelp is a social sharing and recommendation app that helps people find the best events, restaurants, bars, clubs and pop-ups. If you run a business that relies on local search traffic for the majority of your custom, then Yelp is an essential asset to your business’ online strategy. Launched in 2004, Yelp is the go-to resource for millions of visitors to look for information about local businesses. It allows users to check-in at businesses, rate them, review them, comment on other reviews, share photos, and engage in discussions around the business. Fortunately for you, businesses can also establish a presence on Yelp to communicate with the community of users built up on the app. This puts you in the driver’s seat where your business is concerned, and allows you to harness this incredible platform to grow your customer base. In this article, we’re going to take you step by step through how you can master Yelp, and describe the benefits in detail as we go. If your business has been recently established, you may not even be listed on Yelp. Fortunately, the app has a comprehensive infrastructure for helping you register your business, or take control of it if it has already been listed on the app. Visit the Claiming Page and click “claim my business”. 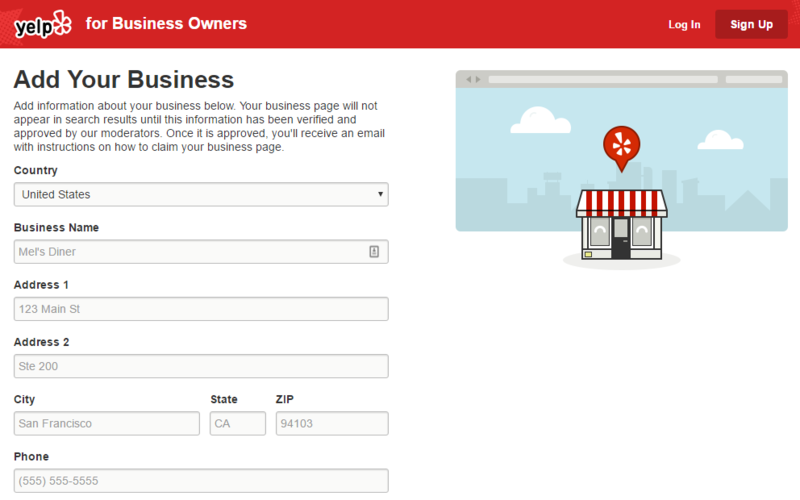 If you searched for your business and couldn’t find it, simply click “add business to Yelp” at the bottom of the page. If your business has already been unlocked, that means someone else has already claimed your business. You need to get in contact with Yelp to find out how that happened, and prove you’re the real owner to reclaim the account. If your business has been listed by users, you can unlock it. You’ll be expected to provide your first and last name, email address, a password, and as with any app, agree to the Yelp terms of service. This will create the business account for you to start posting. If you have any issues creating your business account on Yelp, the Yelp For Business Owners section of the site has all the information you should need. Having a business profile on Yelp is only the first step into this exciting social sphere. 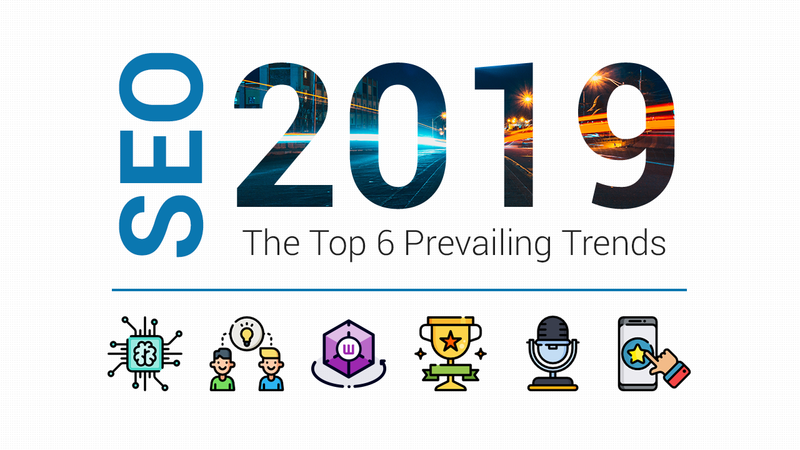 It provides you with opportunities to include key terms that will make a big difference to your local SEO, while simultaneously allowing you to engage with real community members to maximize conversions. The business name, of course, and its category. Important Information. You need your opening hours, price range, parking information, and any other important details like outdoor seating. About your business. A good description of the business, why you started it, and what customers can expect. Address and phone number. Where are you and how can you be contacted? Include a link to your website, and menus. Whatever it is you sell, make sure people can get to it straight from Yelp. Quality photo. The internet is a visual medium, so having attractive pictures of your venue, menu and events will get people engaged and interested. Try and sum up the atmosphere of your business in your profile picture. OpenTable.com reservations. Register to make it as easy as possible for people to reserve a table with you. You want as few obstacles in the way of people booking with you as possible. Yelp creates a huge opportunity for your business to stand out. As more businesses catch on, it will only ever become more competitive, so you need to make sure you stand out from the start. I recommend hiring a professional photographer to capture the spirit and personality of your business when it’s in full swing. You should aim for visual storytelling above all. Always capture moments that help show what the experience will be like for future customers. You should also include a photo or two of the front of your business, during day and night if those are your opening times, as well as a view from the road. Your customers will then be able to recognize your business as they drive by and approach. Google, Bing and other major search engines index Yelp results, so optimizing your profile in the same way your website would will help you to improve your rankings, as well as creating some nice opportunities for backlinks as people link to your website and Yelp profile online. Hyphenet is a good example. Look at how they target their keywords in Yelp profile. Backlinks are especially important for Local SEO, so consider doing some networking with Yelp Community members and guest posting on their blogs, writing a press release about your new Yelp presence and any incentives you may be making exclusive to Yelp users, or simply wait for the natural traffic to increase by itself. They add what is called social proof to your business. Every business says it’s great, but if people who aren’t personally invested say the same, it counts for a lot more. Glowing reviews on Yelp are a prized resource for local businesses. These quotes can be recycled too. You can feature them on your website, Facebook and Twitter by using the reviewer’s first name. Reviews that happen to include keywords can also positively affect Google rankings for a business for those keywords, meaning establishing your language can pay dividends if users mirror it. As positive as good reviews can be, bad reviews can also have silver linings. Think of them as drawing your attention to things you hadn’t considered about your business. These areas for improvement will strengthen your business in the long term. Yelp is a community that wants things to be great – it’s rare to see vindictive or abusive reviews, and they can be dealt with very quickly. In the meantime, treat negative reviews respectfully and responsively, and if the constructive criticism improves your customers’ experience, you’ll turn even more people into fans. We just touched on this above, but responding respectfully to reviews is paramount. 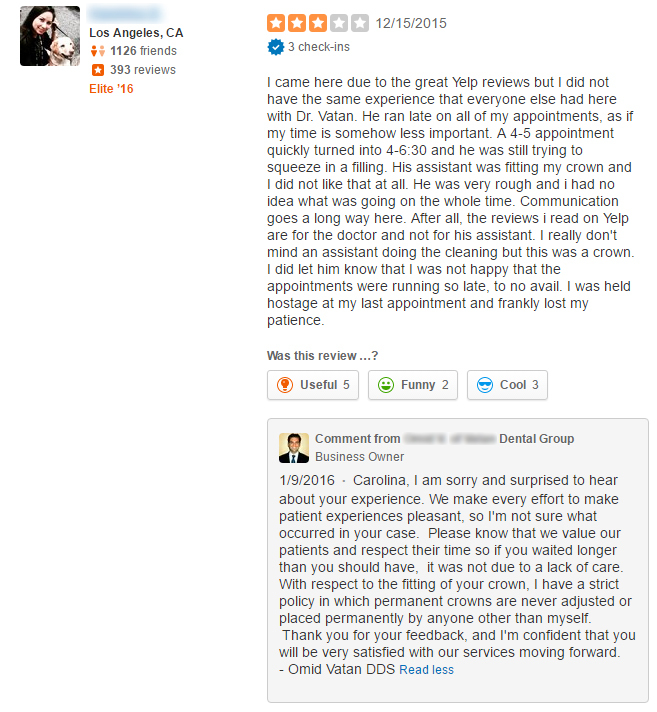 You can publicly respond to reviews placed on your business profile. Whenever anyone has taken the time to contact you and give feedback on their experience, the only appropriate response is gratitude. This doesn’t mean responding with a standardized “Thank you for your comments”, it means really engaging with the content and responding to it appropriately. If someone has made a complaint and there’s a context for it that the person wasn’t aware of – share these extenuating circumstances while making it clear you’re not using it as an excuse. Apologise, and show how you intend to rectify the situation. You should also be sure to respond to positive reviews. Thank them for coming in and for their kind words. By being quick to respond to people on Yelp, you demonstrate how hard you’re working to provide the best customer experience. Because Yelp is so good for reviews, you should be encouraging people to sign up to Yelp if they haven’t already. Link to Yelp on your website. This will help people see other users’ reviews and help you get more people to sign up and post them. Put your Yelp link in your email signature. Anyone signed up to your email list is bound to be a fan, or at the very least a repeat customer. These people are far more likely to post positive reviews, while the location information will help people find you on the go. Encourage people to check-in on Swarm and Foursquare. By offering promotions on Yelp for check-ins on other apps, you can recruit people to check in and notify their friends that they’ve been to your business. This ripple effect will encourage more people to do the same in future. 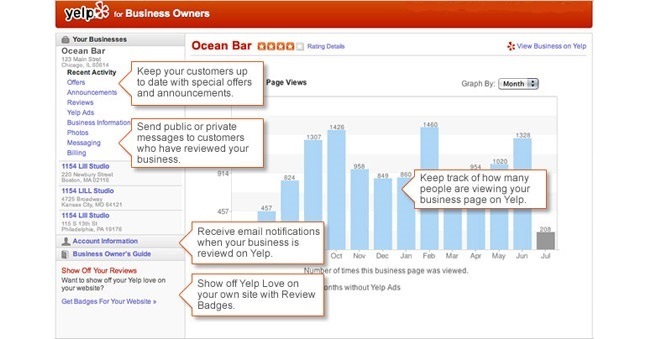 The Yelp Dashboard also gives you free access to detailed metrics about your business’ performance on Yelp. This enables you to track the traffic to your yelp profile, how often it has showed up in search results on the app, and tells you what “User Actions” have been taken, so you know how people engage with your business. This information is accurate down to not just the day, but the time of day. It will help inform your decisions on other actions within your business, helping you decide when business needs a boost from a happy hour or specials menu. In the 21st century, business strategies have to be based on data. Having a great source of free data is something to get excited about. Because so many businesses have a profile on Yelp, it’s a rich source of best practice information. If you’re just getting started, you can look to the competition for cues on what to do to maximize your impact. Search Yelp for direct local competitors, and read their profiles carefully. In particular, spend your time identifying those with 4+ star ratings, and those with below a 3. This will give you an easy way to contrast the profiles, see what the great businesses are doing right and what the bad businesses are getting wrong. Do their photos set them apart? Does their website link lead to an impressive site, or one that turns traffic away? Are their profiles keyword rich and well written, or simply a string of keywords with no useful information? Answering these questions, identifying the strengths and weaknesses, and taking action based on this information will help your profile perform to the best of its ability. Yelp is a community that encourages engagement. They want Yelp to be an identity, not just an app. As such, the app has Elite members who get special perks. Elite Members get access to regional parties, profile badges, snazzy profile covers on the mobile application, and a sense of power akin to the social media influencers on Instagram. You can sniff out how active these people are in your community, as well as where they are active. You can use this to encourage these people to come to your business. Their review will go a lot further than an average member’s. 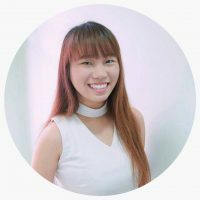 Just like any other profile, having a fun, engaging and high quality profile picture will naturally make you better respected in the future. Lists of places you’ve reviewed. This allows people to see how engaged you are in the community, and if they like your style, makes it easier to take your recommendations in future as well. By showing that you keep tabs on places, you prove you’re in for the long haul. 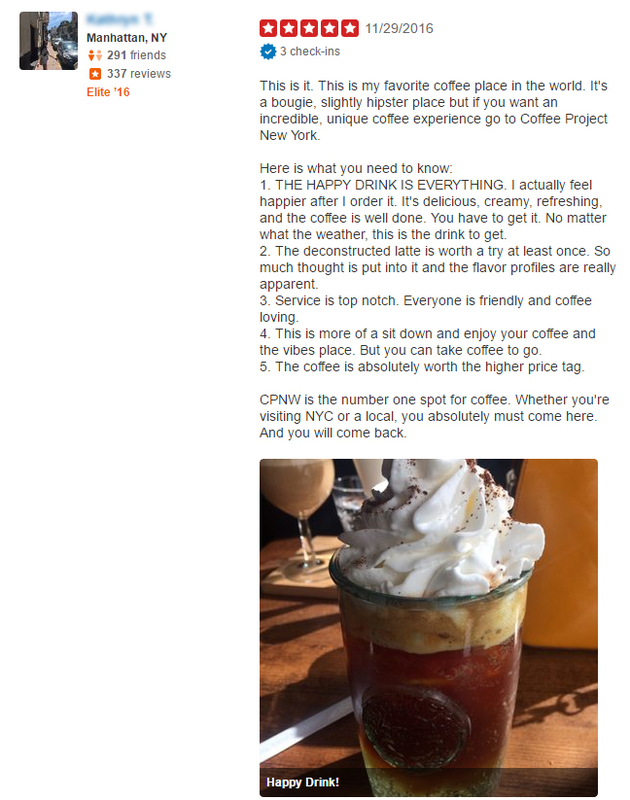 Take useful photos of an establishment when you leave a review. 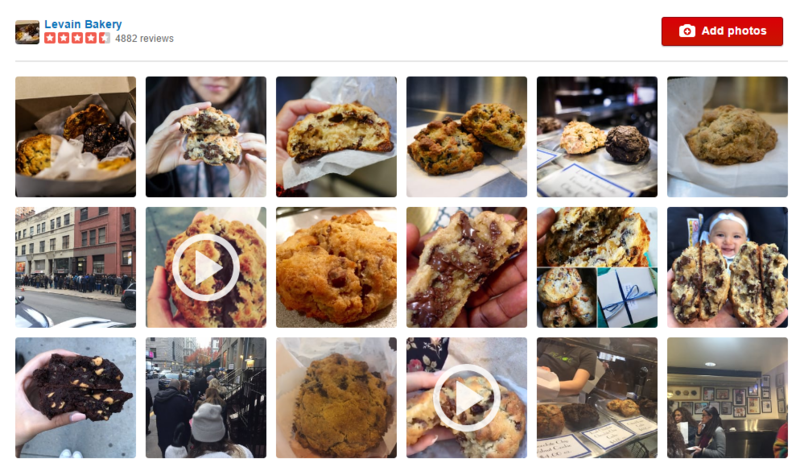 Augmenting reviews with pictures is a great way to show you’ve put in extra effort. By checking in, the Yelp admin team can tell you what you’re up to. While you’re at it, answer useful questions like “Is there bike parking nearby?” so you actively help other members. Try to be engaging in any way you can. Respond to other people’s reviews, post updates and insights, recommend events and more. Remember Yelp’s aim is to be a community, so community spirit should inform whatever you do. That reminds me, you can actually schedule events on Yelp’s public event calendar, either as a host or just to help raise awareness. Provide food recommendations, suggest the best time to visit certain locations. This added value engagement, based on expert insights, will help you establish yourself as an authority. You can invite people to sign up to Yelp using your email or social media accounts. By actively recruiting, you’re sure to establish your reputation as an influencer. Leave more reviews, make sure they are quality. Keeping regularly updated will mean the Yelp team can count on you to respond well to Elite events. If you want to, you can nominate yourself on the Yelp website. A community Manager will approve or disapprove based on your activity. If all you want to do is identify these users, then you can do so by looking for the people taking these actions. By now, you should have a clear understanding of why it’s important to get your business set up on Yelp. It’ll provide an important source of SEO that can complement a well-optimized website (we have a tutorial on seo for small business, too). Both these things will help you draw more customers to your business. As your ranking increases on Yelp, which happens as a consequence of getting both a lot of reviews and high-rated reviews, people will get to know your business and visit your website. 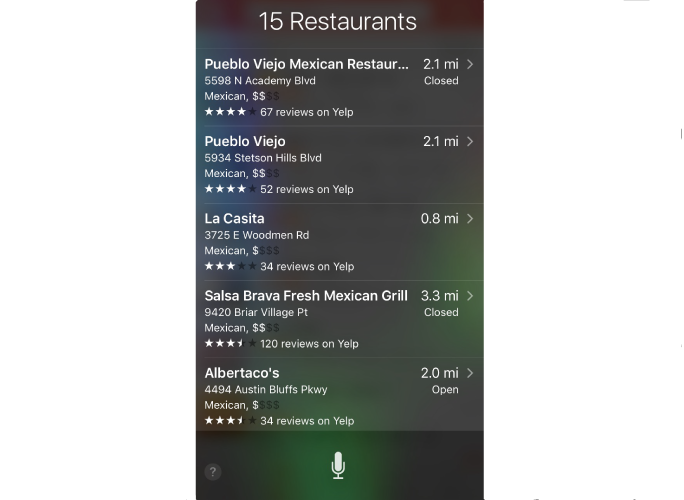 It’s worth pointing out at this point that Siri uses Yelp to help inform local searches. This means anyone with an iPhone could potentially be your next customer. Ensure your NAP listings remain consistently across the web. If you have different addresses, opening times or contact details anywhere, you’re going to miss out on some customers and confuse even more. Bad plan. Generate genuine reviews from customers on Google and Yelp. It may be tempting to quickly establish a reputation by paying for reviews or getting family and friends to write them for you. Don’t. Do things the right way and the rewards will be great. Cheat and you will be punished, and could set yourself back even further. Optimize your website with targeted keywords. You need to do this before you look at establishing your presences on social media. The whole idea is to funnel people toward your site, so if it isn’t ready, you’re doing things in the wrong order. So, over to you! 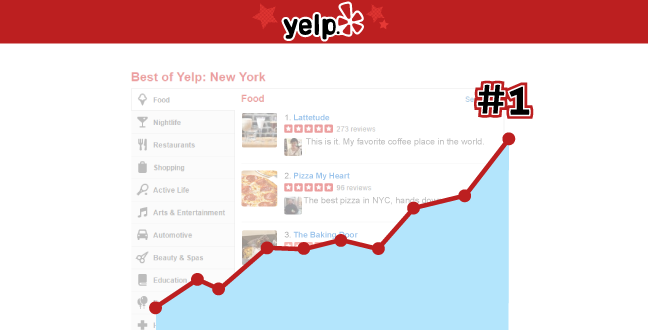 Has your business found success from its presence on Yelp? Are you a Yelp member, and if so, what do you look for in business profiles that can help our readers succeed with you?